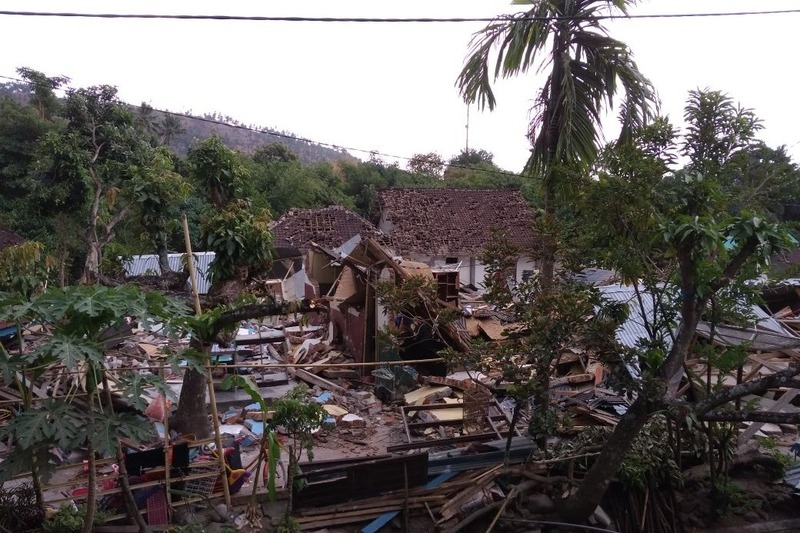 The Island of Lombok in Indonesia was hit by three earthquakes in the last two weeks, killing 300 people and destroying the homes of many more residents. About a month and a half ago I spent two weeks on Lombok, learning to surf in the small beach town of Senggigi and climbing the stunning Mt. Rinjani volcano. Everywhere I went I was greeted by the hospitality and kindness of the locals. I quickly made new friends even though I had known them for such little time. I had a deal with the Nayaka Surf School, owned by Wayan, maybe one of the nicest people I have ever met. They taught me to surf and in exchange I made them a video to promote the school. You can find a link here https://www.youtube.com/watch?v=jI-LuAW4wU0&t=84s . While making this video I was introduced to the whole team: Tata, Jen, Jacka, and their crew. Once I heard the news about the earthquake, I immediately messaged the entire crew at Nayaka. Thank God they we're alright but the school was damaged. They were low on food and water and I felt hopeless hearing this news. Since that first earthquake there have been two others, one stronger than the last. Keeping the locals in a constant state of fear and left with little resources. I found out that Wayan was trying to help his community the best he could, distributing food and water to the people of Senggigi who haven't received as much aid as the larger towns. It's hard for me to think of my friends suffering without food, water and shelter. 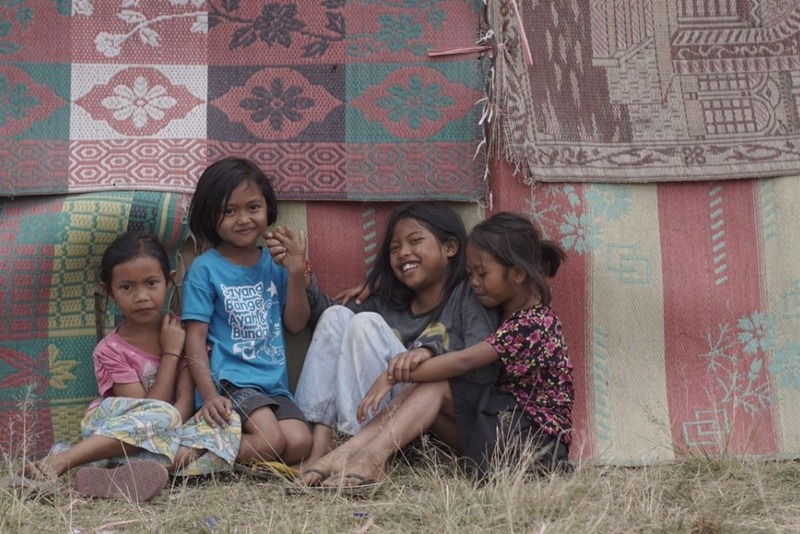 It also struck me what better way to help my friends than to channel some aid through Wayan. I had learned to trust him and I knew he was well respected in the right-knit community of Senggigi. 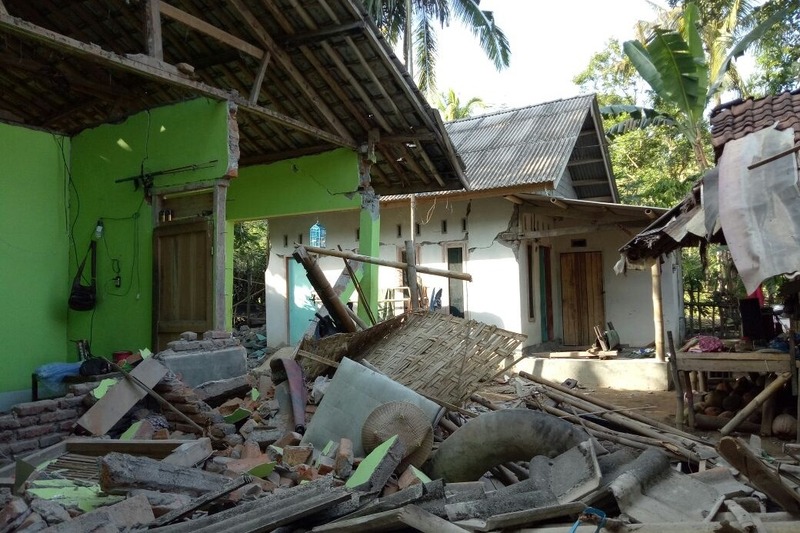 Food and Water has become a daily struggle for the community of Senggigi and our main goal would be to help them survive through these devastating times. Any donation $1,$2,$5,$10,$25 dollars go's a long way. Just to give you some perspective Wayan has sent me a list of the costs of some basic food and water. Every donation will be directly sent to the Nayaka foundation who are trying their hardest to help those affected in their community. Funds will be spent on these basic goods and resources to help them get back on their feet. 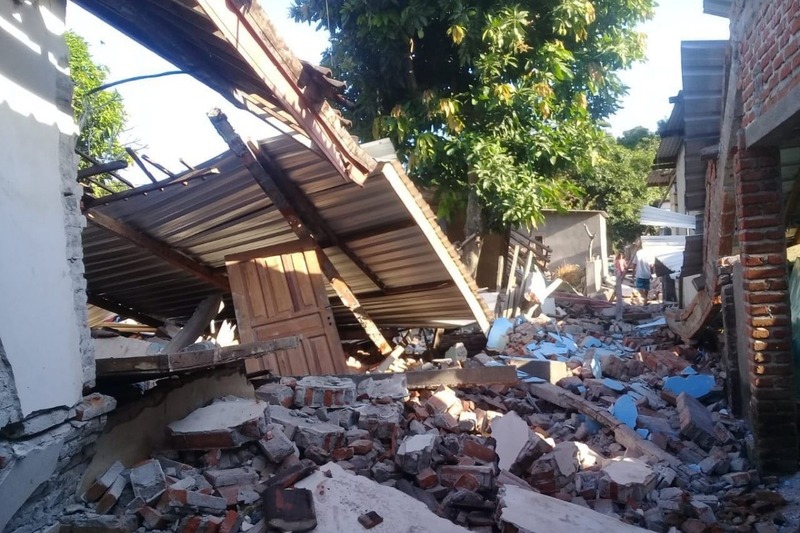 Lombok has been hit by another 2 earthquakes today of 6.9 and 6.2 magnitude. After some time recovering from the last 3 earthquakes they’re efforts to get life back to normal have been thrown off. Gonna extend the GoFundMe to continue supporting the Nayaka Foundation and their efforts to provide aid to the Senggigi community. First of all, I want to thank all those who have donated. I will make sure that every single dollar donated gets put to good use. We have now raised about $414 dollars which will be used to buy food, water and other supplies. 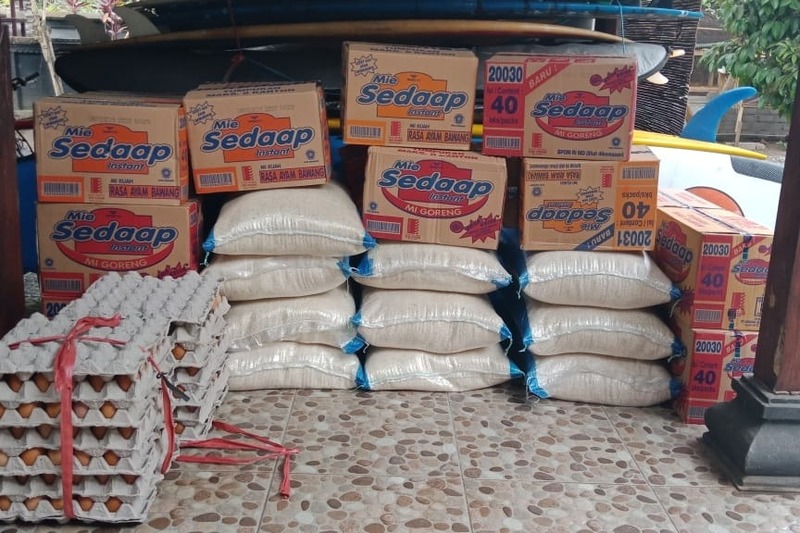 The Nayaka foundation has already been buying goods and these donations will help fund their daily efforts to assist those most in need in the community. 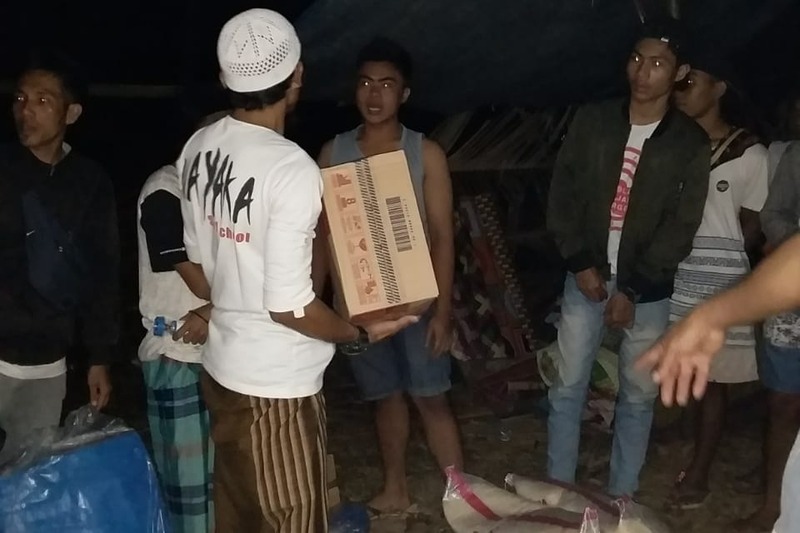 They have been distributing food at night and started handing out food packages to several families in Senggigi. With the funds received we plan to keep supporting the Nayaka Foundation in their efforts to get the community back on its feet.